Don’t we long to be seen? But God is calling us into the secret place: a place unseen. God’s secret, hidden places are where we will find shelter. Most of life is silent and full of moments not documented for the world to see. Today I see you, momma because I’m in the midst of piles of laundry, sticky floors, and dirty dishes too. Children up all night, these are not hidden places when we are hidden in the secret place of the Almighty. The name for God, Almighty, means the All-Powerful God. A God who commands armies of angels sweeps down into our hidden places to show Himself mighty and powerful. To be hidden, accepting our hidden places, means we will be humble before the power and might of God. We will abide here. We will make our home and dwell in the presence of God. Dear mother, God sees you in the hidden places. When your loved one who is suffering, and you carry the guilt of unspoken words, God knows the pain. With heartache just around the corner, God is covering you. Dwell with and in Him. Find solace in His presence. Take heart today, mamas. If you find yourself in a season of feeling more needed than seen, know that you have not been left on the shelf. Know that you are doing important work….And whatever season you find yourself in, there’s aways meaningful work for you to do, because you are always you. Get your own copy of iola magazine here and read her article (and mine). If you love good design, creativity, reading and music, – iola magazine is for you. 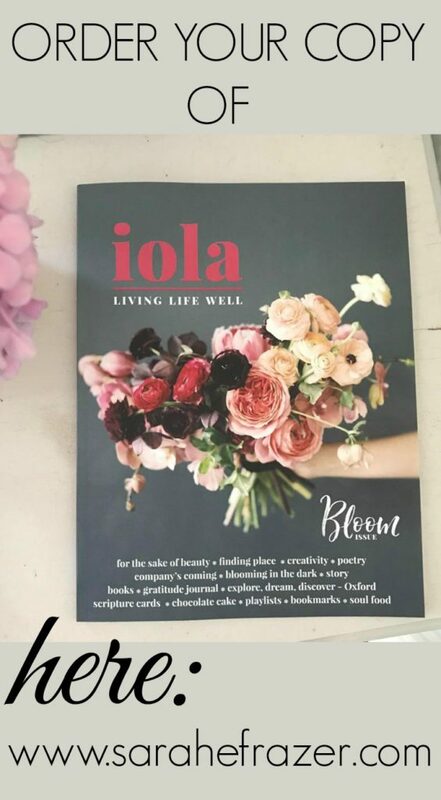 If you’ve ever wondered about how to manage all the things: family, meaningful work, creative pursuits and how not to lose yourself in the process, – iola is for you. If you have faith in God but at times might describe your relationship with him as complicated and have been hurt on life’s road, – iola is for you. If your idea of a simple treat is some time out with coffee and a magazine that inspires not invokes envy – iola is for you. There is an article by Laura about how hospitality can be a blessing even when it feels like a horror! 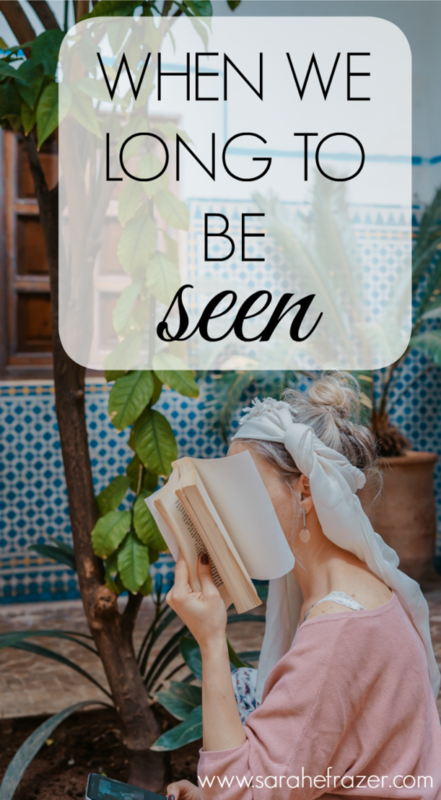 Kimberly shares with us how to invite beauty into our everyday lives, Elli tells us an everyday moment story of a train ride, Charlotte shares encouragement that there are seasons of fruitfulness and that might not always look easy. Sarah shares her story of adopting her daughter and how she cultivated courage through it all. Carly shares her journey of blooming in her desert season. « Do You Need Help with Nap time?